The first two days at Hospitality Innovation Planet (HIP), the new innovation and trends fair for the Horeca sector taking place at Ifema Madrid has been a complete success for Eurofrits-Aviko. 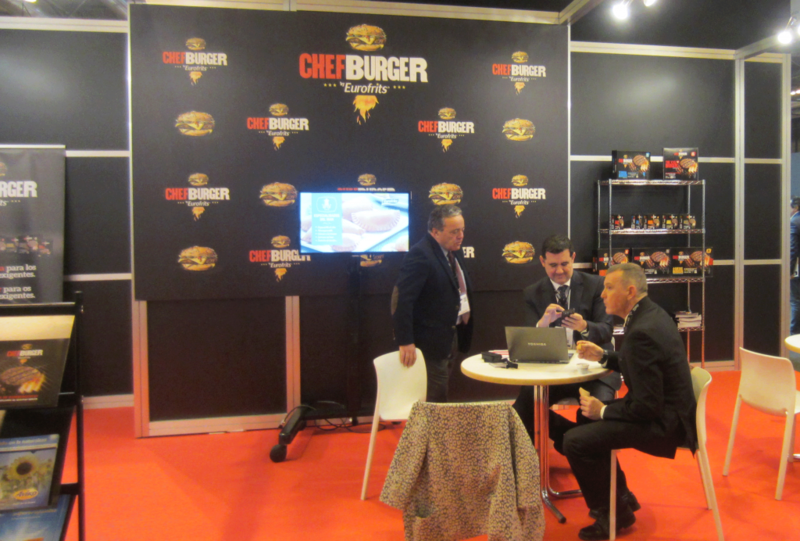 Numerous representatives from companies working in our sector visited our stand, interested on our most innovative launch: our range of Premium ChefBurger frozen Hamburgers. 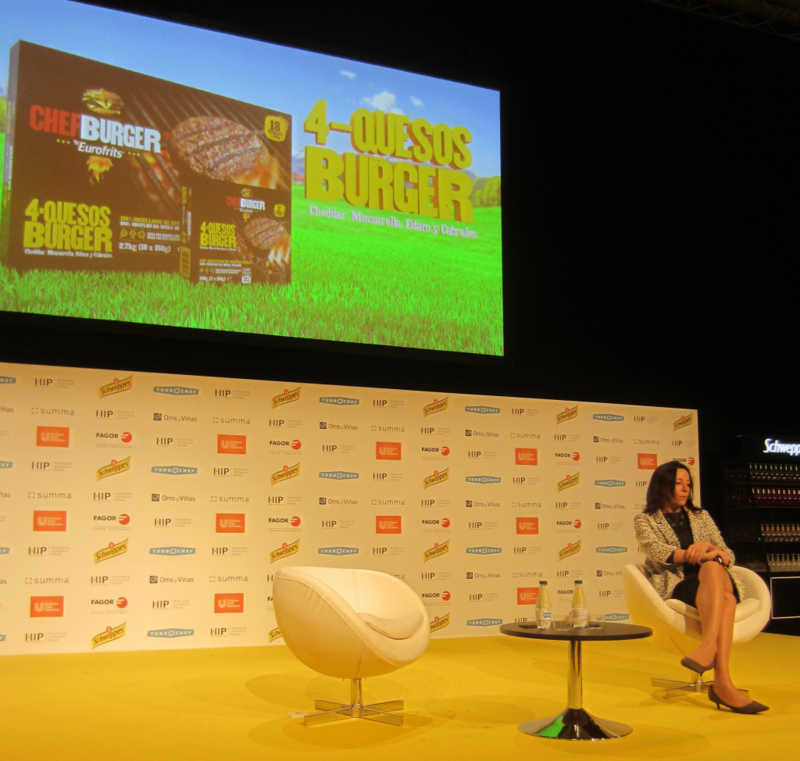 In the context of the presentation Hospitality 4.0, the Congress on innovation, technology and sector transformation, celebrated on Sunday morning, Marisa Navarrete, Marketing manager at Eurofrits, gave a talk titled “ChefBurger: innovation in Premium Frozen hamburgers”. It encompassed a brief introduction on the history and the main figures of our company and details about our commitment with health and safety, backed by a sininficant variety of certifications and a R&D&I dedicated department focused on our satisfying our customer´s needs. 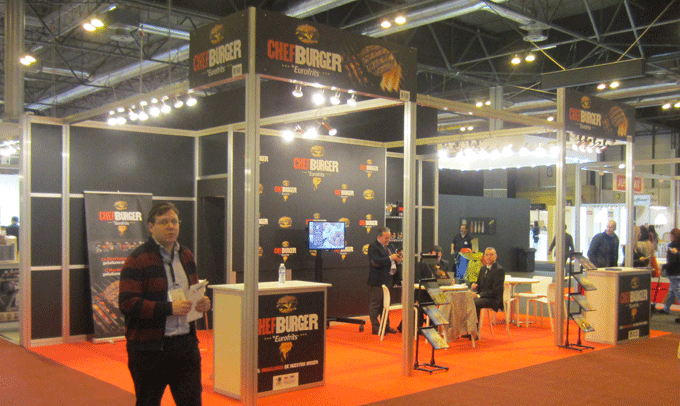 Marisa also reviewed our different specialties (Potato, Fish, Poultry, Beef, Croquettes or Tapas) but focused on our latest launch: ChefBurger. “The requirement was to develop a frozen burger that, fulfilling the standards in terms of quality and flavour, would help the restaurateurs in their day-to-day tasks, and thus provide them with a solution to their needs. Our R&D&I department achieved this objective in 2015 by developing an entire new range of Premium Hamburgers. 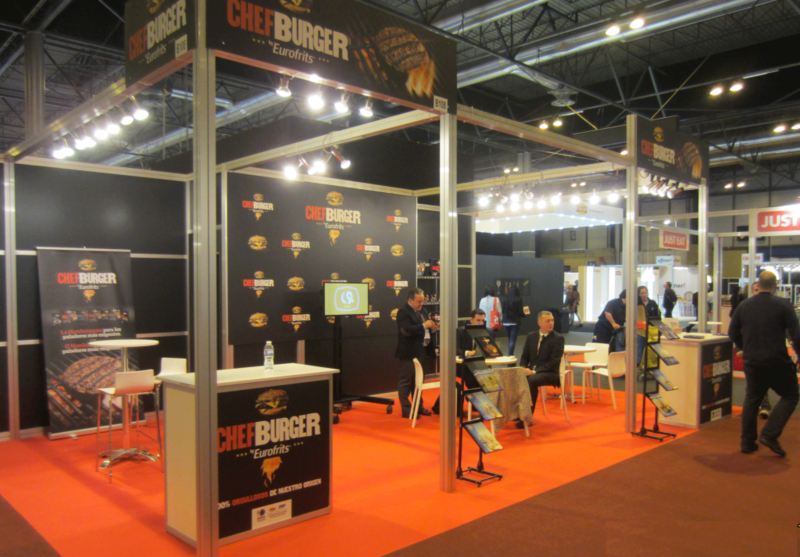 As original as tasty: ChefBurger”, assured Marisa Navarrete. For more info on HIP, click HERE.